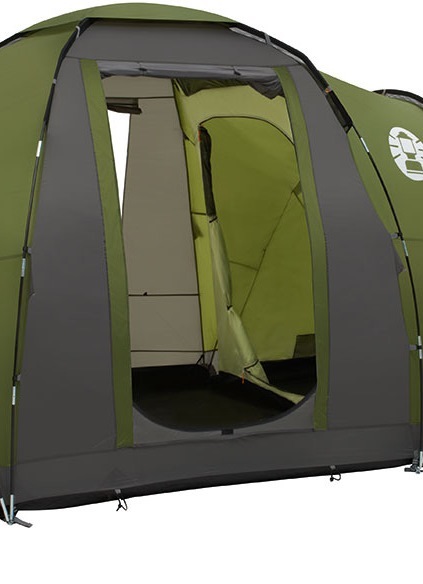 Choosing a tent from the wide range of products on the market might sometimes seem like a rocket science. There is no universal type, which could be used anywhere, anytime. Crawling into a mini-sized tent every day of the week spent in a camp is as much as comfortable as dragging a huge and heavy tent when you're mountain hiking. Each tent is designed for a specific purpose and is ideal for certain types of activities. When you know what occasion you will use the tent for, choosing is much easier. Quality - The materials and production determine the designated use, price and conditions in which the tent can be used. Weight - A common phrase in the outdoor industry is “Light is right!” While lightweight products are usually the way to go, that’s not always the case. In tent design, there is a balance between lightweight materials and durability. A lighter tent will most likely be constructed of more delicate materials, whereas a heavier tent will be more durable. 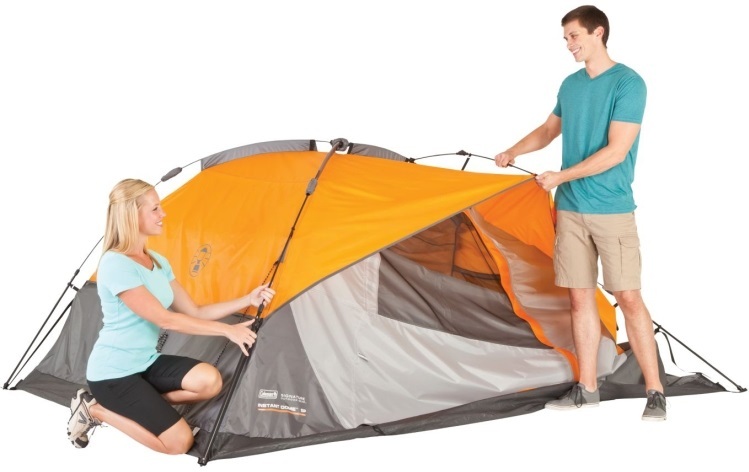 Generally speaking, a tent should weigh approximately 2.5 pounds per person. Remember that when backpacking with multiple people, you can split the weight by dividing the tent, rain fly, and poles. 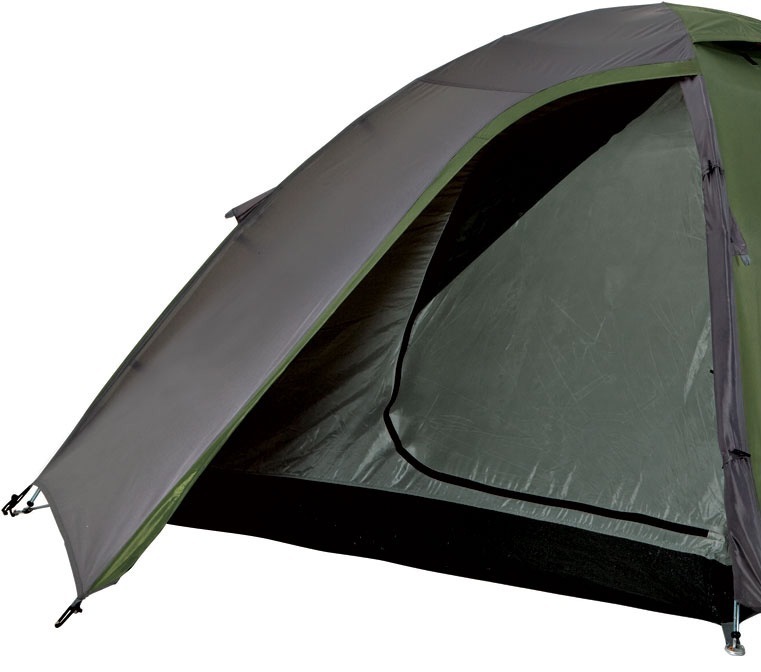 Number of people and size of tent - In average, one person should have a space of 70 cm width. To determine if the tent will be enough for your amount of people, look at the size of tent's groundsheet. Don't forget to keep enough room for your equipment such as bag packs or bikes. 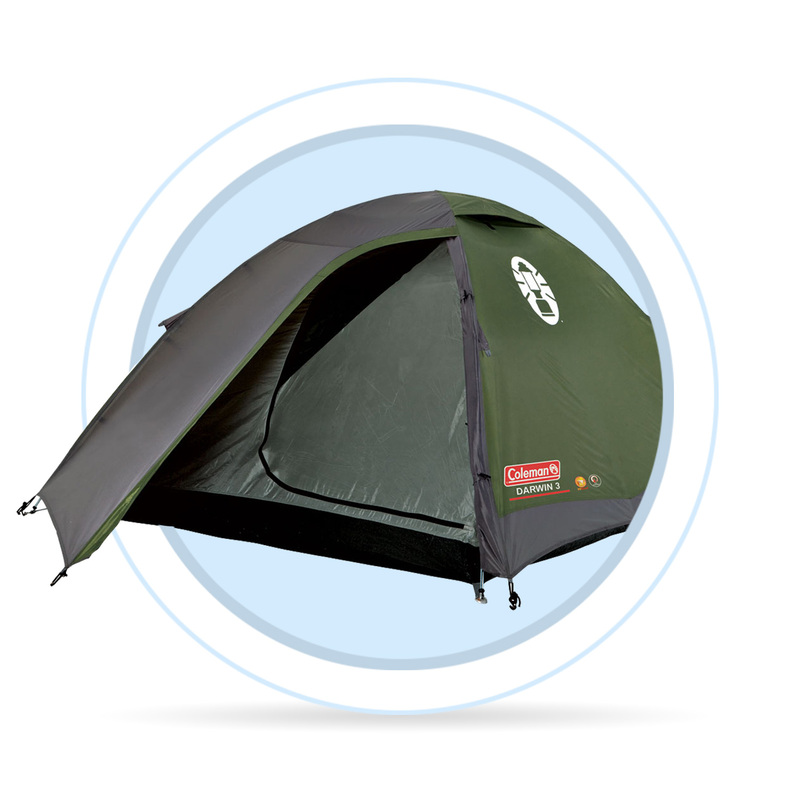 When you're travelling with more baggage, you could find useful tents with divided entrance room and multiple entrance doors. Construction - There are tents which can be pitched without the use of pegs. Some, on the other hand, need pegs to be safely secured to the ground (such as tunnel tents) in order to prevent them from flying away. Dome – Dome-shaped tents are easy to construct with the help of two poles crossed in the highest point. The tent has to be attached to the ground with pegs to prevent it from flying away. It is easily portable and therefore suitable for hiking. Tunnel - Tunnel tents provide even more space by using two or more hooped poles to create a tunnel shape enclosure. 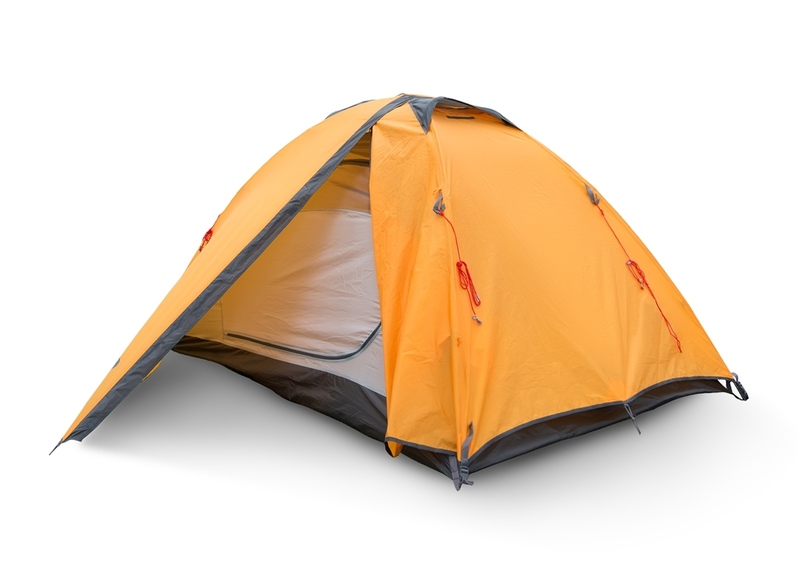 These tents are lightweight and compact. The construction is quick and easy, the tent has to be attached with guy lines. Geodetic design – Multiple poles crossed in several places ensure the best stability in extreme conditions. Cabin – Tall and spacious, cabin tents have steel construction, are comfortable, solid and heavy. Suitable for families and those who travel by car. Combination – Most common in combinations with a tunnel, combined tunnels are suitable for families and those who travel by car. Practice pitching your tent before you go camping: This will familiarise you with your new tent, so that you don’t have to spend hours working out which poles go where out on the hill, with light fading and the threat of rain! This will also enable you to locate any faults in a safe environment, and work out if your chosen tent is up to scratch. Minimise condensation: Make the most of tent ventilation when conditions allow, as this will prevent the build-up of moisture from condensation inside the tent. With the flysheet (outer layer) zipped up, you can open vents or doors in the inner to let off some steam! Even if you take measures to minimise condensation, it’s inevitable that some will build up over the course of the night. Don’t worry – your tent is almost certainly not leaking. Shake or wipe away excess moisture from the flysheet if necessary. Look after your poles: When feeding the poles into their pole sleeves/pole loops on assembly, be sure to push them through, carefully guiding them through as you do so. Do not pull from the end, as this can cause the pole sections to pop apart, and even snap the pole shock cord! Remove poles completely from the tent before folding them up after use, and fold them carefully from the centre of each pole. This reduces the likelihood of the cord snapping. Air your tent after use: When you return from your camping trip, be sure to either hang out the tent inner and flysheet to dry, or, if the weather is fine, pitch the tent in your garden with doors and vents open. This will ensure that your tent doesn’t go into storage in wet condition, to grow mould in time for its next use! When choosing a tent, water column is one of the most important parameters to watch out for. Water column indicates how waterproof the fabric with its treatment is. Imagine a transparent tube standing vertically on a tested fabric. If the fabric’s water column is 2,000 mm, the tube can be filled with 2 m of water before the water starts seeping through the fabric. Higher water column can be achieved through using thin layers of PU isolating material. The more layers, the higher the water column. Unfortunately, with the water column rises also the price point. At the same time, natural breathability lowers and there is a danger of condensed water creating on the inner side of rainfly. Water column of every fabric decreases over time. High water columns are not always an advantage. The weight of material rises together with the strength of the coating and breathability decreases. Water columns are not the only indicator of a water protection. It also depends on the construction, seams, windows etc.